Thank you, Maryanne, for having the courage to produce the Whatever Floats Your Boat…Perspectives on Motherhood documentary. If I’d been on the boat in 2005, I would’ve introduced myself as a 49-year-old, grief-stricken, childless widow whose husband died 3 years earlier—and who still wanted to have a family. My husband and I had been together only 4 years when he died. I loved him and we had plans to sail around the world with our children. Two years into our marriage he was diagnosed with cancer and told he had 6 months to live. The plan was to get him well, have children, get our boat, and set sail. It was ok with me that our plan was delayed; I was an optimist and I “knew” without a shadow of doubt that he’d recover. It never occurred to me that after an 18-month battle he would succumb. We froze his sperm before his 1st round of chemotherapy. After his passing, I tried 6 IUIs with his frozen sperm but failed to conceive each time. I realized that I didn’t wanted to be a mom at all costs, and I didn’t have the drive to do IVF. I had no fear of being an older parent. I wanted to marry again, become a parent through adoption, or meet someone with children. If I’d been on that houseboat for your documentary, I would’ve walked off the boat wishing everyone well and gone back home to meet someone who wanted the same. At 49 I did not want to be a single parent by choice. But not long after that I knew it just wasn’t going to happen. I made a very conscious decision to stop pursing motherhood. I came to know that I would not raise children, I would not be pregnant, I would not experience motherhood. The idea of what if I regret it never entered my mind. I had tried everything that I knew to do and was willing to do. I wanted to punctuate this decision by asking all the women in my life who were important to me to write about how I had made a difference in their lives. I needed to know that if I wasn’t going to be a mom, I still made a difference in the world. I gathered all the letters and had a ceremony with the co-author of our book, Motherhood-Is It For Me? Your Step-by-Step Guide to Clarity – we lit candles and she read one letter, then I would read another. We took our time and felt the words of what each person wrote. This allowed me to see who I was and take in the difference I’d made in their lives. Ultimately that was more important to me than having a child or becoming a mother. Clearly, I was a mother to many. When I could internalize that truth, I was able to move forward with my life. This was my version of a No-Baby Shower. After that, I was done. I would no longer be on the path of trying to become a mother. I had grieved that it hadn’t played out as I’d wanted. Fast forward to 2017, and my life could not be more rich, more wonderful, or have more unmeasurable meaning. I’m delighted—overjoyed, really— that I do not have a child. I don’t spend a minute wondering what if this or what if that. If I had gotten pregnant in 2002 after my husband died I would now have a 15-year-old. I would not want a 15-year-old at 61. Even though I remember at 49 being okay with being an older parent, I could not know then what I would feel like at 61. Since I was a young person, I always wanted to impact the many more than the one. When I look into the eyes of my many nieces, grandnieces, and nephew with a kind of love that bursts open my heart, I know they see in my eyes how much I love them. My loving them is a privilege, and it’s what nourishes me. I also make a difference in many women’s lives as a Motherhood Clarity Mentor—I help women gain the clarity they seek about whether to be a mother. You need to know these answers deep inside of you before you can make a decision. Then you need to know why. Not because you should defend what you want and not because you owe anyone anything about your desire…but to know for yourself why you want to be a mom or not to be a mom. You never need to tell anyone why you want to be a mom or not to be a mom, but you need to know for yourself. Because once you know why, then you are better equipped to make a conscious decision. I do believe if you make a conscious decision in that order, only good things can happen. Children are amazing and, of course, raising them is beyond anything anyone can put into words – but it is not up to a child to make your life fulfilled. That is up to you. It’s up to you to help a child have a fulfilled life. Ultimately having a fulfilled or satisfied life is not about whether you have children. It’s about knowing who you are and what you want in this life, and then making that happen. #1. Stop immediately making a case for YES and a case for NO. This will only create gridlock in your brain. The function it mainly serves is to protect you from feeling ambivalent. Ambivalence for many is very uncomfortable and most people will do just about anything to avoid the feeling. #2. Instead, write down this statement: “At the risk of feeling uncomfortable, I will decide to not know on purpose. I will make peace with this before I do anything else. As soon as I accept that I don’t know, I’ll have access to more information than I’ve had access to in the past.” Then plan to not know, on purpose, until you can feel at peace with not knowing. #3. Make a list of 3 decisions that you’ve previously made that you feel good about. Write a few sentences on each one, describing the sensation of how good it felt to have made those decisions with clarity. This is the feeling you deserve to have when deciding either YES to motherhood or YES to a childfree life. #4. What verbal and non-verbal messages did you receive while growing up (from family members, society, your community, or your religion) about you becoming a mother? Some people don’t know how to want something different than what is expected of them. Spend time entertaining these questions to help you think outside of your current circumstance. They’ll provide you with powerful clues about why you don’t yet trust yourself to know your desire and to make the decision that’s right for you. Before you can make a decision you need to know and understand your desire. You also need to understand where it comes from and why. I ask you to accept this idea and understand that this is a complex issue. Whether to become a mother is one of the most important decisions a woman makes in her lifetime. It makes sense that it’s not so simple to answer. But the cycle of indecision can end with thoughtful and compassionate guidance. 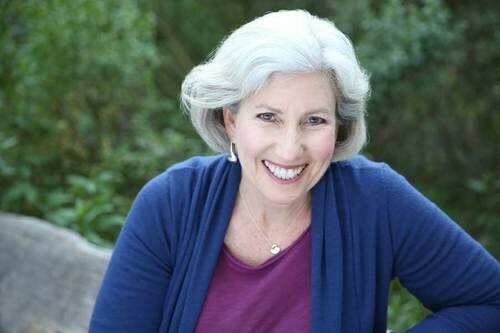 Ann is a Motherhood Clarity Mentor & Licensed Marriage and Family Therapist. For more than 25 years, Ann has been helping women decide about motherhood or a child-free life. Ann offers the Motherhood Clarity Course, a 14-week program (self-guided, online group, or private one-on-one) that helps women who are struggling with indecision about whether they want to become a mother. In 2016, Ann and her co-author, Denise L. Carlini (a Marriage and Family Therapist), published their outstanding book, Motherhood-Is It For Me? Your Step-by-Step Guide to Clarity.